There were no flowering plants in the Triassic and no grasses. The undergrowth was dominated by more primitive green s plants, such as ferns and horsetails, which were eaten by herbivorous animals like Placerías. A lightly built, agile hunter just 3 ft (1 m) long, Eoraptor was one of the first true dinosaurs. It had slender jaws with many small, sharp teeth and probably preyed on smaller reptiles such as lizards. The slender, long-legged form of Coelophysis shows that it was a fast-moving hunter—one of the earliest of the theropod dinosaurs that culminated in the mighty Tyrannosaurus. 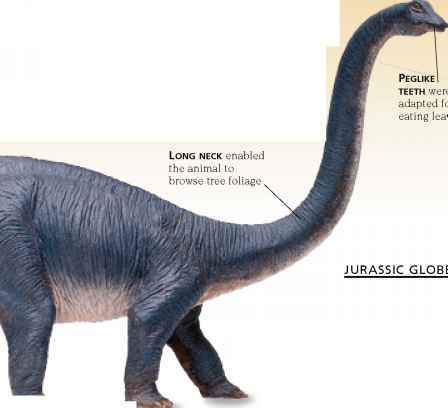 It lived near the end of the Triassic Period. 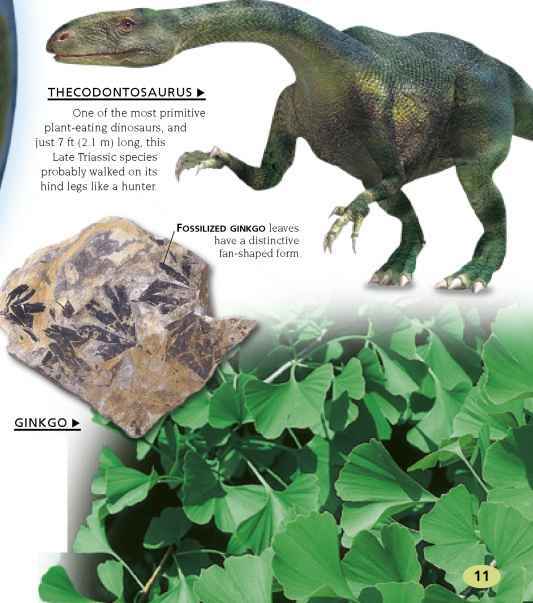 Triassic forests consisted of cycads, conifers, and other primitive trees like the ginkgo. These plants still thrive today, and the fan-shaped leaves of modern ginkgoes are little changed from those in Triassic fossils. 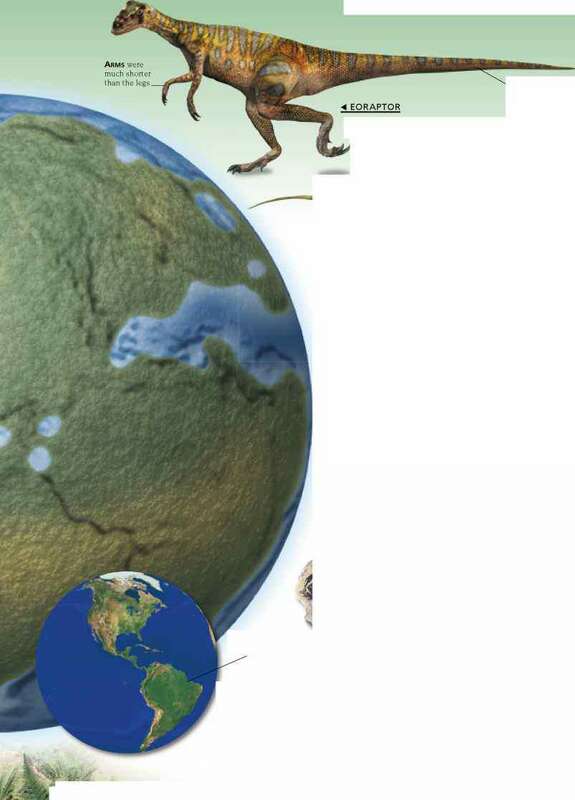 The jurassic period was a time of climate change, brought about by the breakup of the huge, dry supercontinent Pangaea into two smaller landmasses, and the creation of many shallow seas. Global temperatures were still warm because there were no polar ice sheets, but there was more rainfall. Desert areas shrank as a result, and much of the world became luxuriant forest. 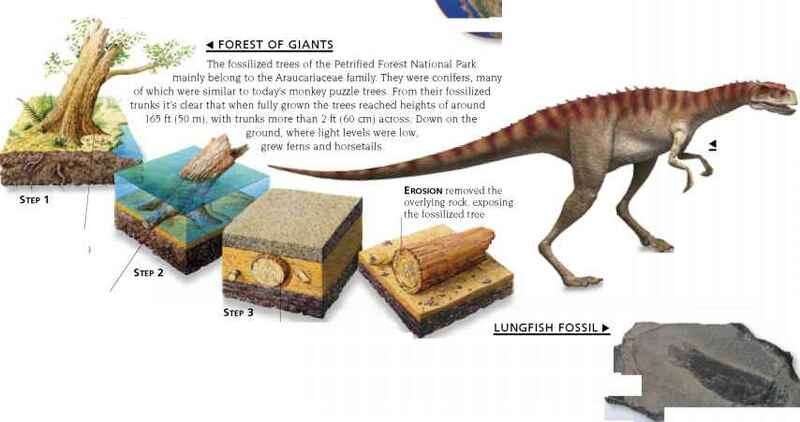 These changes clearly suited the dinosaurs, which diversified into a wide variety of species. But the mammal-like reptiles became extinct, and their mammal descendants remained insignificant for the next 140 million years.